We carry over 550 varieties of new and returning roses with diversified groups of top rated roses for our climate. The groups include hybrid teas, grandifloras, floribundas, climbing, groundcover, David Austin English Roses, rugosa, and old garden roses. 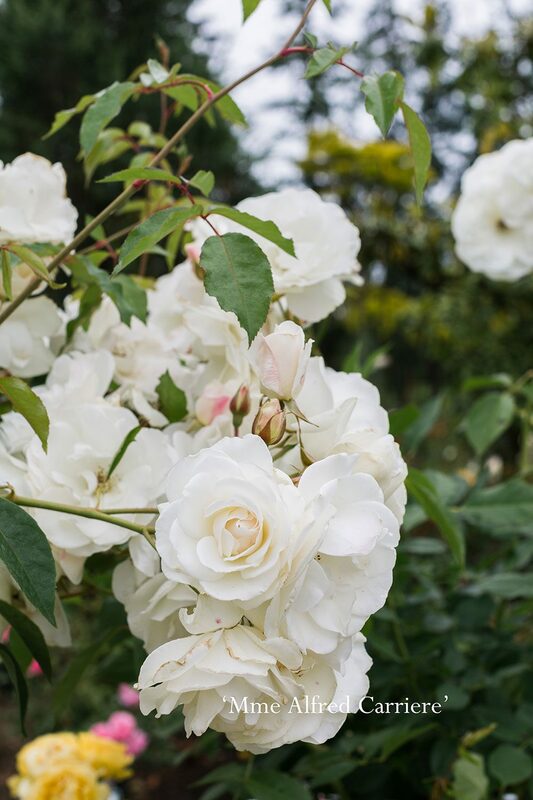 Our Christianson’s Rose List 2019 with its legend is a quick reference for customers wanting a particular color, or group such as the new violet color and fragrant roses. In June our annual Rose Festival showcases the display garden around our Schoolhouse and under the Big Tent offers presentations on rose varieties and rose care and companion plants. The Schoolhouse is filled with cut roses from the Tri-Valley Rose Society and community gardener’s submissions for the Best in Show, Best Fragrant Rose and Best Floral Display. It is here you can see and smell many of the most popular roses first hand. This offers a rare opportunity for those who are considering planting a rose garden. There is nothing better than seeing the real flower rather than viewing it in a picture.